The way to a new parent’s heart is through their stomachs. While that may not be completely consistent with the old axiom, it is no less true. Make sure that you have specialty food and beverage gifts on hand for those last minute celebrations and special occasions. 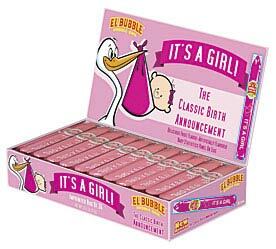 Know someone celebrating an upcoming addition to the family? 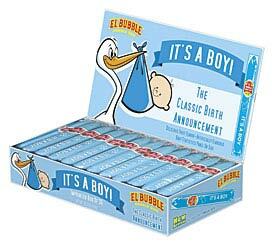 Present the proud parents with a cigar box full of bubblegum cigars. When its valentine’s Day, don’t forget the Sweetheart candies. 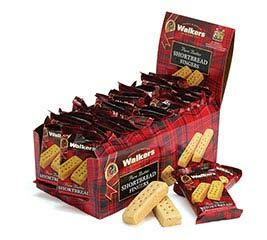 Gift packets of shortbread cookies are a great way to say “Thank You” or simply to cheer up a sick friend. We’ve all been there. An unexpected or impromptu celebration requires a gift. Or, we’ve been detained at the office and the big day is fast approaching. 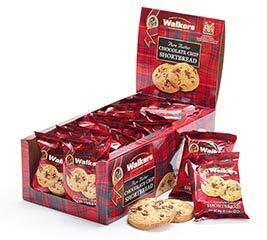 That’s why specialty food and beverage gifts are so popular. At Burton + Burton. We cater to the last minute shopper. We don’t just offer specialty food and beverage gifts. We’re better known for offering extraordinary value. While ordering, ask one of our representatives about bulk pricing for any specialty food or gift beverage. Ordering online? Use our handy live chat feature to find out if you’re eligible for wholesale pricing. For over 30 years, we’ve been leading the way as The World’s Largest Balloon and Coordinating Gift Supplier ®. Our industry best customer service department is available through live chat should you have any questions about your order. Learn why burton + Burton is the premier name in balloon and gift wholesale.